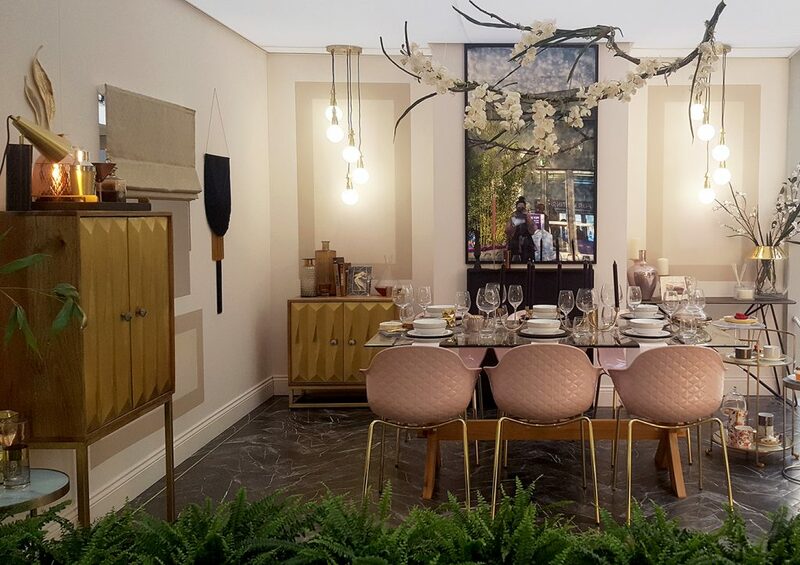 As well as having the 4 Show Homes on display during the Ideal Homeshow there was also some amazing roomsets offered by Good Home Magazine consisting of six inspiring rooms. 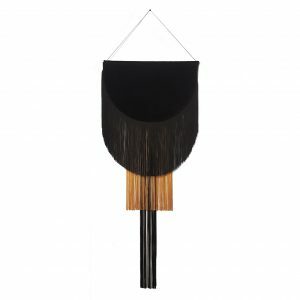 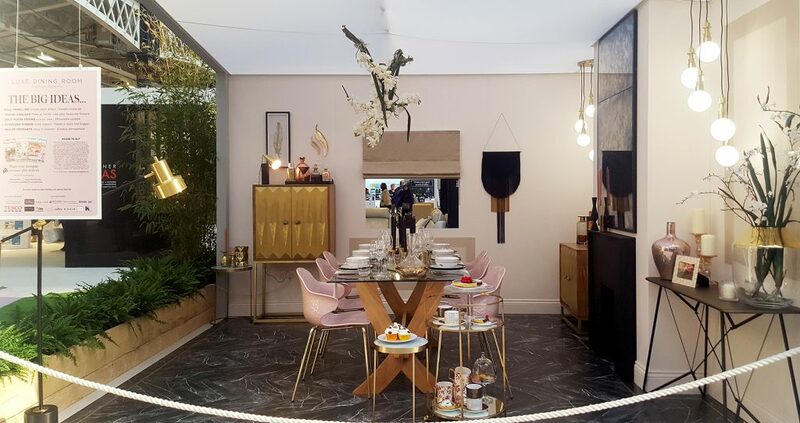 Styled by the super talented Kate McPhee each room featuring on-trend ideas, clever decorating looks, stylish colours and must-have products, each with the theme of How To Add Wow Factor to your home. 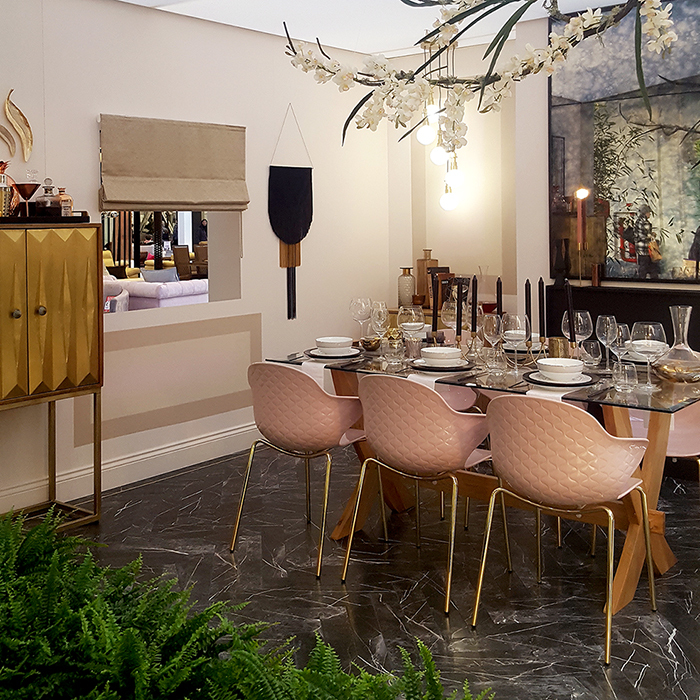 Our Barcelona Wall Hanging sat proudly in the dining room complete with beautiful gold details, statement lighting, gorgeous porcelain marble flooring and a pink dining chair set creating a truly luxe stage for any dinner party.